The BYK-Gardner BYK-mac multi-angle color instrument. 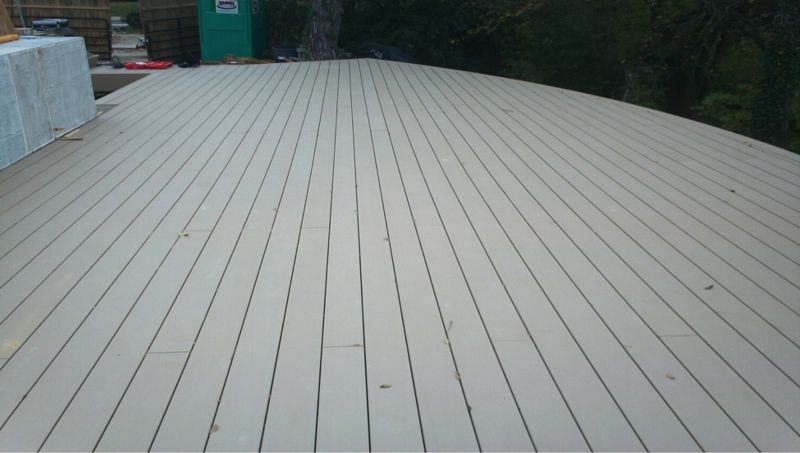 Composite deck boards can shift color depending on the angle of view as well as direction of installation. The BYK-mac i is used to quantify these changes allowing the manufacturer to control lots prior to sending them to the installer. Wear of the embossing wheel or wear of press plates have a direct impact on color changes of composite deck boards. Below is a visual and data of a customer using the BYK-mac i. As shown in the below pictures, there are two different areas of visual appearance. The section of deck to the right will be referred to as “light” appearing boards, and the section to the left will be “dark” appearing boards. 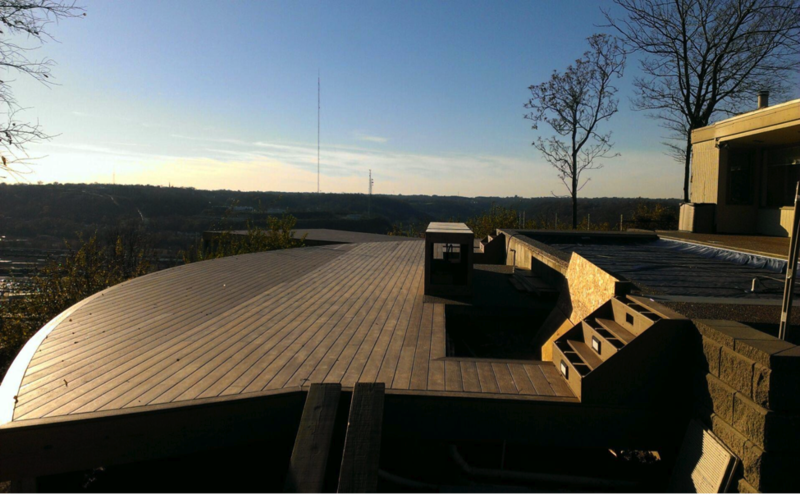 The deck boards are installed in an east to west orientation. These pictures are looking to the west. This photo, looking west, shows a difference in visual appearance with the right side light and the left side dark. Photo Courtesy of BYK-Gardner. The below picture is taken towards the east. There is no obvious variation in the visual appearance. This photo looking east shows no visual difference. Photo Courtesy of BYK-Gardner. Data of deck samples showing how the color changes with angle. Photo Courtesy of BYK-Gardner. The data supports the claim that the deck board color changes with angle of view. Especially, the -15 and 15 degree angle are big indicators of the color change. The traditional 45/0 spectrophotometer does not appear to show a significant difference. Therefore, the BYK-mac i is a great color tool to differentiate between composite deck boards that change color at varying angles. 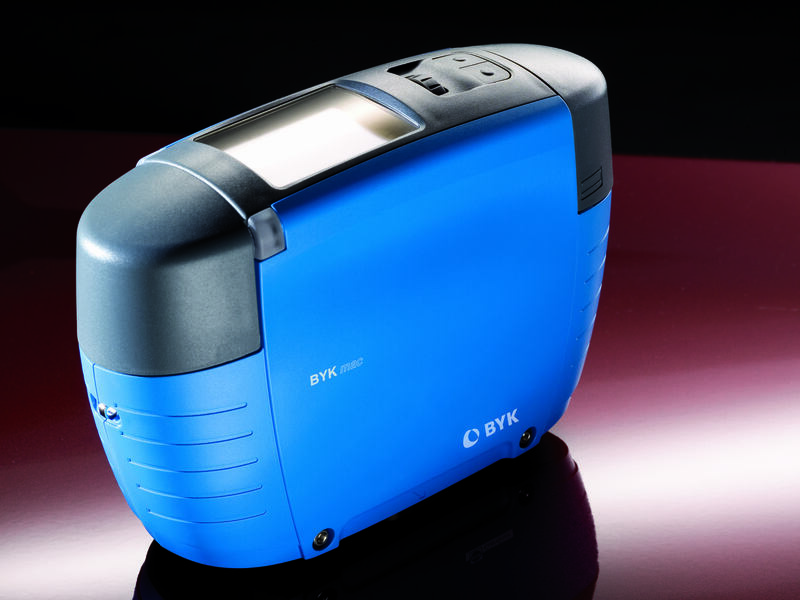 For more information on BYK-mac i from BYK-Gardner, click here! How Do I Test Tint Strength? What Does Spectrophotometer Geometry 45/0 versus Sphere Mean To You? Subscribe to News and Events!